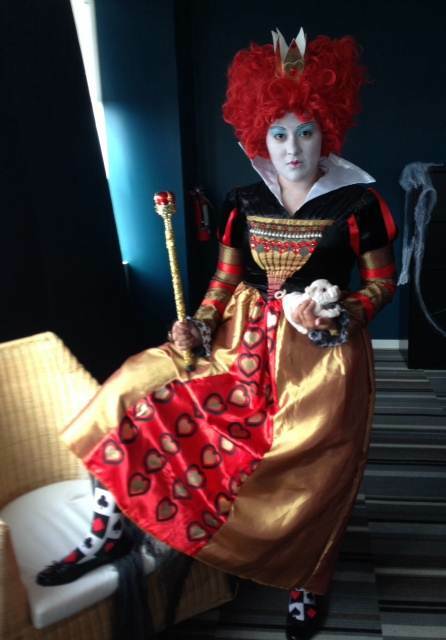 Why is it that every time Alice ends up in the Underland, the Red Queen is always there to ruin her fun? Doesn't Her Highness have a bunch of royal duties to keep her busy? 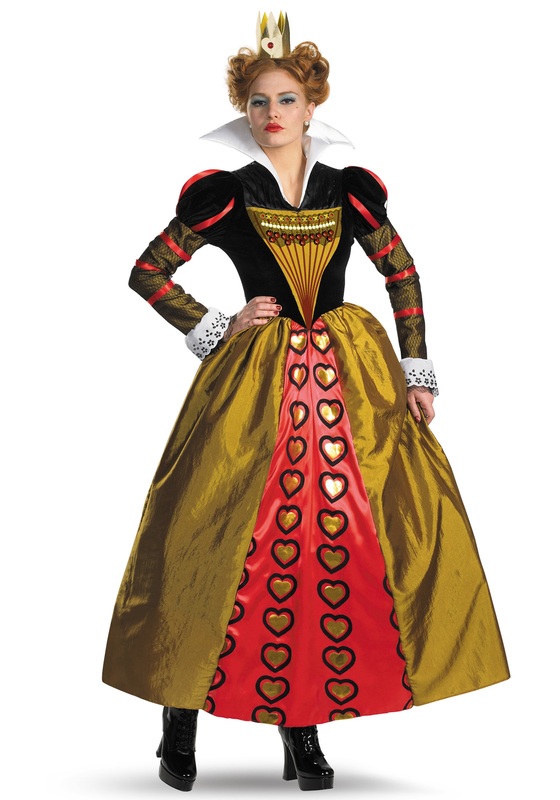 There's much more to being in charge than just ruling your subjects, though, and dressing up in this official Red Queen Costume will have you looking as dazzling as the infamous monarch from Tim Burton's Alice in Wonderland! 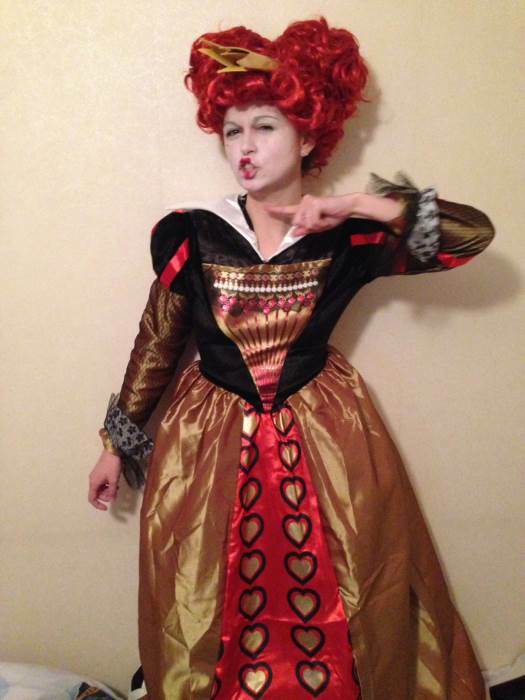 When you first meet The Red Queen, she may seem a little hot tempered, and like she jumps straight to lopping off the heads of those that displease her a bit too quickly. But what they never tell you in the storybooks is that being the queen of Underland is a very stressful gig! It may look like she's overreacting when she demands that whoever stole her tarts be executed, but she may have been looking forward to those tarts for a long time. And, if she lets one of her subjects get away with stealing her special snacks, next time they might try to steal something even more precious, and no queen can let that stand! AMAZING costume and size fit perfect. The price of the costume was up to par for the fantastic quality of the costume. Shipping was immediate (based upon choice selected) as I asked for next day delivery and received costume in time for halloween. Added a small touch of jewels to the costume and it didnt damage the material at all. Overall, great quality for the petticoat, crown and dress. This is now my go-to store for Halloween costumes!! The costume was very nice except the collar is not as shown. It is very soft satin and I used over one can of spray starch to make it stand up as in the photo. If you don't do that, the whole look is not dramatic as it should be. So realistic! And so much fun to wear!